NEW! Flat-panel TVs with 30 channels of HD programming. Easy-access Plug-and-Play feature makes it simple to connect electronics. The La Quinta Inn Houston Cy-Fair features free high-speed Internet access and more! 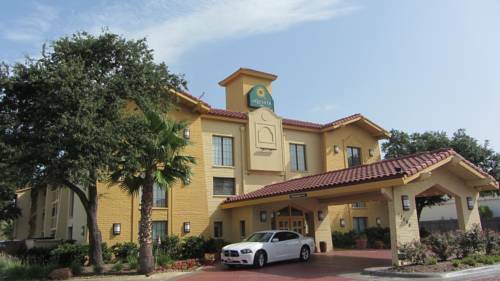 The La Quinta Inn Houston Cy Fair is outside the bustle of Houston, northwest of the city. A tasty Free Bright Side BreakfastTM and a relaxing outdoor pool and sundeck are among a long list of amenities. We have microfridges in all king rooms, and adjoining rooms are also available. Our courteous staff is eager to make your stay most pleasant. We are convenient to Berry Center and Baseball USA, Prairie View A&M, Cyfair Business Parks, Weatherford International, Cintas Corporation, and CyFair Hospital. We are close to Bear Creek Golf Course, several shopping centers, including Willowbrook Mall, and a variety of restaurants, with the Harris County Smokehouse adjacent to the property. Find the La Quinta Inn Houston Cy-Fair at the intersection of Highways 290 and 1960, 15 miles from the airport, 20 miles from downtown Houston. This hotel is pet friendly.